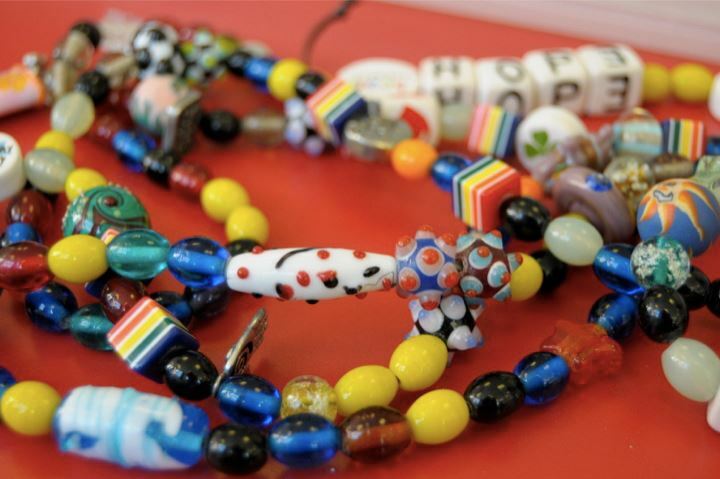 Be Child Cancer Aware is sponsoring the Beads of Courage programme in the UK and our aim is to provide this amazing programme to all oncology wards in UK hospitals. To do this, we need to raise funds. What medication can we in the UK say costs £50.00? Would you consider one of our sponsorship opportunities? Perhaps you or your company would be interested in supporting a Beads of Courage Hospital by organising your own events during 2012 or through a workplace giving programme. To sponsor a child simply click on Sponsor a Child and make a one off donation. 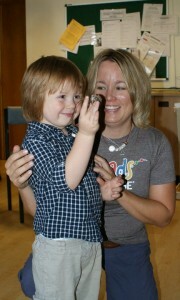 This is Ted with the founder of Beads of Courage, Jean Baruch. Jean met Ted when she visited the UK in July 2011 to undertake training days at Birmingham Childrens Hospital, Basildon Hospital and The Royal Marsden Hospital. Jean developed the first Beads of Courage, Inc. program while working on her PhD in Nursing at the University of Arizona, College of Nursing. Her inspiration came from her clinical practice, and from her experiences as a camp nurse at one of Paul Newman’s Hole in the Wall Gang Camps. With the financial support of her family and friends, Jean developed and piloted the Beads of Courage Program at Phoenix Children’s Hospital in February 2004. The programme is now available in over 100 hospitals throughout the US, Japan, New Zealand and the UK and is soon going to be delivered to hospitals in Canada.